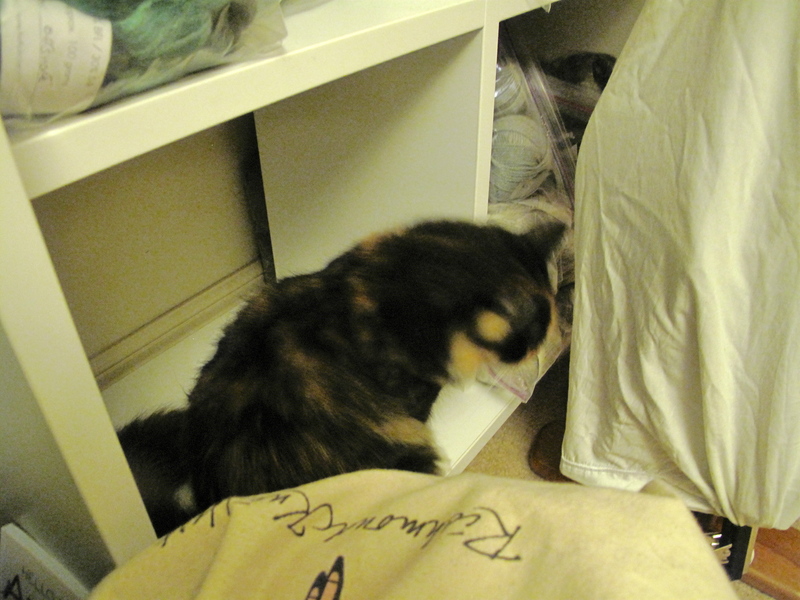 After 4 months of living in harmony, Purl has decided she has as much right to my stash as I do. Or all of a sudden, yarn in zip lock bags has become extremely appealing… Looks like I have a date with Ikea. 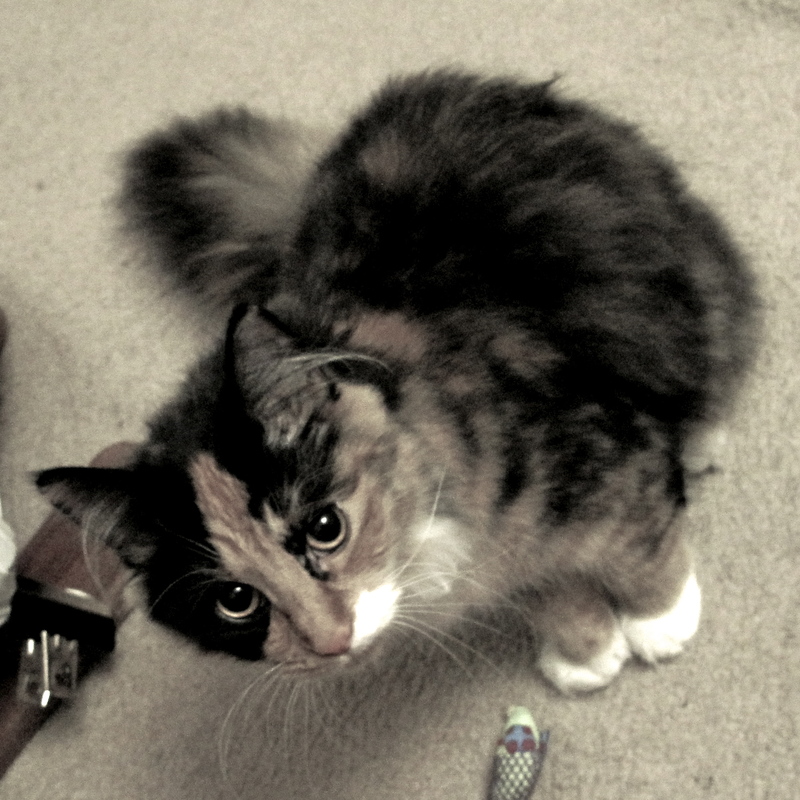 Does she look innocent to you? 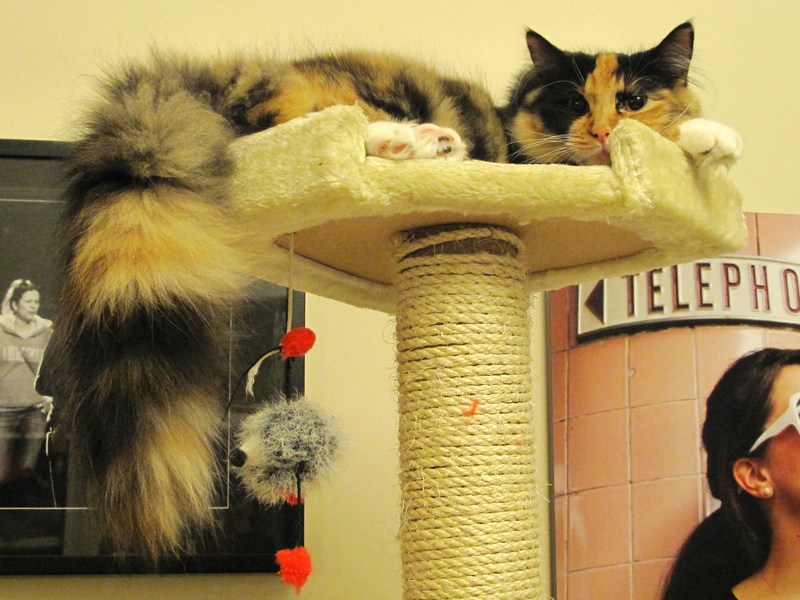 And here she is on her ivory tower planning, plotting her next move… hmm… she’s not very happy with me.